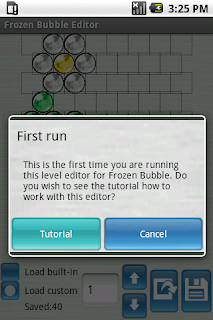 2012 February the 6th was the 10th birthday of Frozen Bubble's first release. The development was started in november 2001 by "ayo", amaury and Guillaume Cottenceau, members of the MandrakeSoft team (Mandriva nowadays). 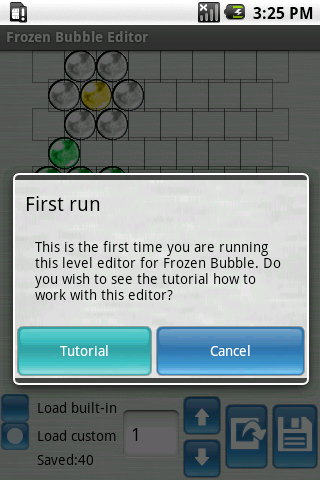 Frozen Bubble is a beautiful game inspired by Puzzle Bobble (published by Taito in 1994 , also called Bust-a-Move). The game has nice graphics and music (from matths alias Matthias). Development has stopped in 2008, but Frozen Bubble and its ports still enjoy high popularity, especially on the Linux and Android platforms. A Java port also exists. Only the first version is available for Windows. A French language interview with the makers was recently published on linuxfr.org.